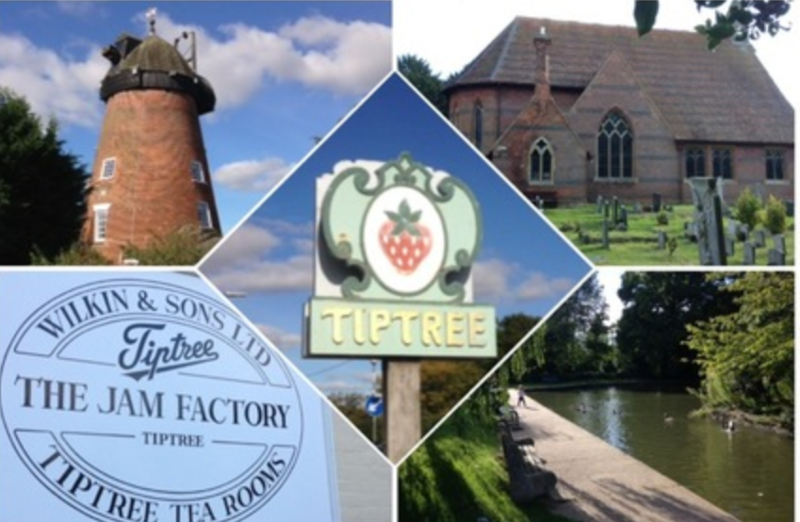 As part of my Literary March project attending the Essex Book Festival, I got to explore Tiptree. Now I’m a little bit obsessed. The Sara Maitland talk took place in Layer Marney tower, way out in the middle of nowhere in a place only accessibly by car, foot, or bike. The closest town was Tiptree, and so I got to experience the home of the world famous Wilkin & Sons Tiptree Jam Factory. I had an absolutely lovely stay with Jonathan and Sarah. They were incredibly accommodating and kind, and even offered to pick me up from the train station. We had some very interesting conversations about religion, family, and education, and spent the evening playing board games. According to Jonathan, Sarah, and the Queen – Wilkin & Sons jam is the best jam in the whole world. Founded in 1885 in Tiptree, their jam can be found all over the world. They kindly took me to visit the factory, where we wandered round the museum and the shop. I bought their most famous jam, Little Scarlet! They had a lovely tea room that I wish I could have gone to, and thus suggest you make time if you go visit. It’s a bit out there, but worth it. King Henry the VIII’s favourite palace for a reason. Such an elegant building from Tudor times, the site of it took my breath away. Overall, I had a lovely time – and hope to come again.